When to Hire a Head of Growth? When it comes to hiring a Head of Growth, timing is critical. Too early and you are wasting your and her time. Too late and you are leaving money on the table. So, when does it makes sense? Does it makes sense for your company to hire someone like this now? Is there a “right time” to hire a Head of Growth or promote someone into that role? Growth can be a daunting task to handle but one thing is sure, you can’t have sustainable growth with a bad product. You need to reach a point where the usage and behavior you see can be replicable — as you acquire more users engagement will not deteriorate. Why is that? A product with poor engagement that grows is not a good thing because you will reach a point where the users leaving will start to offset the number of new users and a growth plateau will follow. If you have good organic acquisition but poor engagement, this is an opportunity for you to take a step back. You must resist the hype for growth and focus on your product core value. This is a retention curve example for a fictive cohort of users. PS: % active is not relevant here to decide if you have good or bad retention, this depends on your product and industry. However, the fact that the curve flatten out is the indicator you are looking for good product engagement. Recruiting a Head of Growth should be a strategic investment. The initiative needs to come from one of the founders and the CEO should be the force driving the process once you have taken the decision to move forward. Without a strong vision set by the CEO you won’t enable this hire to feel confident enough about her day to day decisions. The support for this hire has to be global within the company — from Product, to Sales & Engineering. I can’t stress this enough; if your head of Sales or Product is not all for it it, you are setting her up for failure. Politics and ego are growth killers. This is unfortunately as true for 10+ people as for 1000+ people companies. As a Head of Growth, this person is going to own either a metric or a part of your funnel. Therefore changing what’s currently in place to fit what needs to be done. She will needs to work with engineering and product to do just that. Make sure people working for those functions understand what this hire means for the responsibilities. They might change or simply be shared with this new hire. This is where I have seen the most failure come from when wanting to bring a Head of Growth on board. 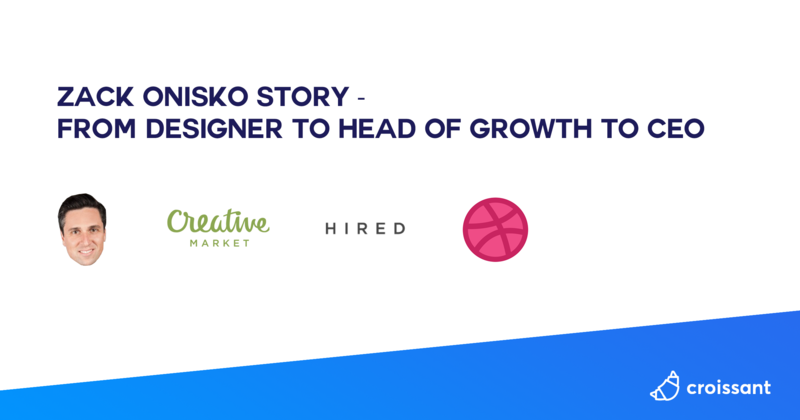 Head of Growth is a relatively new job for a relatively new function, you probably have a hard time defining exactly what’s she will be doing on a day-to-day basis. And that’s ok.
By understanding this you set herself for success. Ownership will be empowering for her. However, there is a balance to that, you will need to be willing to give her the resources (people, money, time) to reach the goal you have set. Without it she won’t be as effective. Growth is a function in your organization, a set of practices, a process/methodology not a collection of tactics — there is no silver bullets. Knowing it is hard will be liberating. Once you understand and accept it, there is no more myths left and you can get to work. Managing your expectations and those around you is a necessary step before hiring a Head of Growth. It’s important to understand that her role is to set the tone and build a meaningful and sustainable growth strategy. You wouldn’t expect your Head of Product to reinvent your product in her first month. However, you will expect her to bring experiences, processes and insights that will ultimately lead to an ever-growing product value. Same thing for a Head of Growth. Growth is difficult, no need to make it harder. One of the best thing you can do to improve the success of this new hire is on an organizational level. Adopting a culture of experimentation, transforming the way you approach business from a gut-based way to a data-informed one. There is a reason why this hire needs to be a strategic one, you will need to make changes. Creating a great culture of experimentation is so important that it needs everyone’s attention. Having a culture of experimentation means there’s nothing sacred. Everything is up to be challenged because you don’t care to do something in particular, you care to do the right thing. It means it’s OK to fail if you learn something. It means you can be wrong, you can take risks. It means the data is accessible and actionable for everyone to use. If you already have this kind of culture, great. If not, be ready to makes some changes because that one of the job of a Head of Growth — create an environment of experimentation. A great Head of Growth is channel agnostic. They won’t work on paid acquisition because that’s what they are good at or is easy, they will work on what’s best for the company. If you are at a point where you have already identified the channels that are working and are recruiting someone to execute on them, try find someone with experience on those channels. That being said, you probably haven’t or are still not sure. There is likely only a few channels that will work very well for your company. Your head of growth will have to experiments with many channels to find the ones that work best, so experience with several channels and the ability to learn new ones quickly are critical skills to look for. 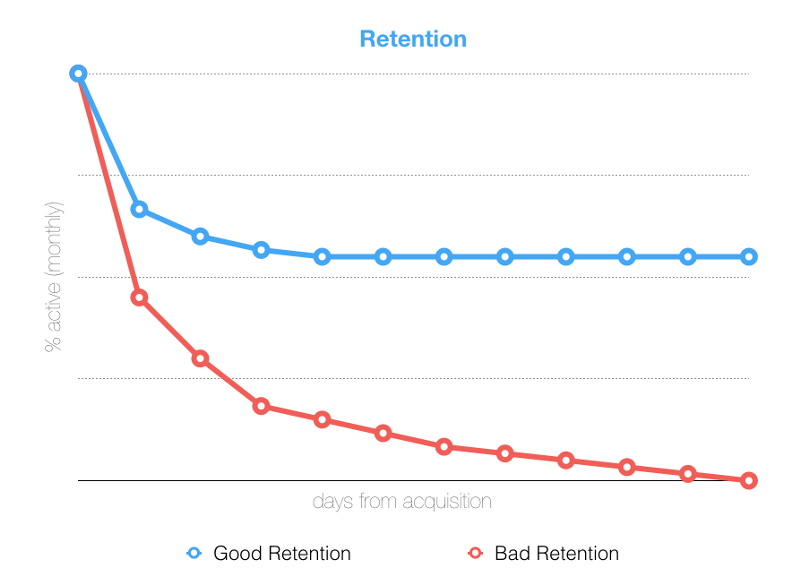 Get to product-market-fit and look for your retention curve to flatten out. Make this hire a strategic investment and get your CEO to be the driven force. Be sure you have the support for it. Giver her autonomy and resources so she can be successful. Manage your expectations. Be ready for changes. Match her skills with your product. If you think that’s where you’re at, go for it.